Capt. Dave Schugar on the left, one happy angler, and one not so happy fish. Captain Dave Schugar is a second generation fisherman who has been fishing the Florida Keys since the age of 8. When you join Capt. Dave for one of Sweet E’Nuf’s Marathon fishing charters , you’ll benefit from his more than 24 years of experience fishing in these same waters! Before starting Sweet E’Nuf for charter fishing in 2001, Capt. Dave worked as a commercial yellowtail snapper fisherman, catching as many as 64,000 pounds in a four month season. He is a trusted source for bottom fishing expertise, but his knowledge doesn’t end there! There’s nothing more fun than getting a triple hook up when the sailfish are in season. With his vast experience and expertise, Capt. 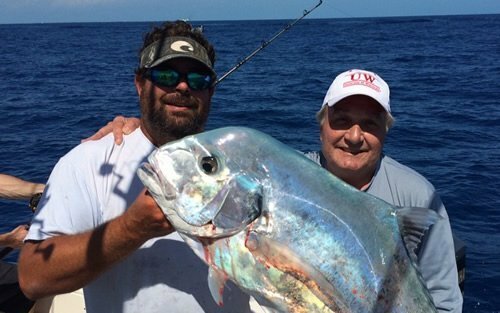 Dave knows the techniques, locations, and strategies for a truly memorable charter fishing experience in the Florida Keys! Captain Dave can accommodate groups of up to six people. If you’d like to reserve a larger party, we can arrange for groups up to 60 people with advance notice. Whether you prefer a four hour, half-day trip catching a variety of grouper and snapper along the reef, or a full-day excursion offshore to find dolphin or tuna (and even more fish! 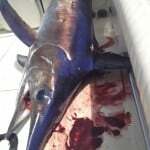 ), we have the Marathon fishing charters for you. 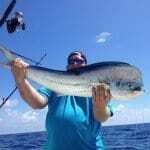 Captain Dave is the person to call for any fishing charter experience you need.